The Safe Mac » Beware iAntivirus! I have always had a problem with iAntivirus’ published threat list, which mostly includes hacker tools and antique viruses that cannot affect any system made this century. I’ve always found that to be misleading. However, iAntivirus has come back to my attention after years of not thinking about it, and what I see now concerns me greatly. I believe that, at this point, it may actually be dangerous to rely on iAntivirus! After recently reviewing the iAntivirus threat list, published on the iAntivirus web site, I noticed a major problem: it contains absolutely no recent Mac malware! In particular, the two malware outbreaks that have affected more Mac users than any other malware to date – MacDefender and Flashback – are completely missing from their list! Also missing are OpinionSpy, Koobface (aka Boonana), BASH/QHost.wb, Revir/Imuler and Devilrobber (aka Miner-D). None of this would be a major problem if iAntivirus had been officially discontinued. However, nothing I can find anywhere on the iAntivirus site indicates that it has been discontinued. In fact, you can still download and even purchase the software! That, in my opinion, makes iAntivirus very close to a scam. If you purchase security software, you expect it to actually keep you secure, and iAntivirus does not. Nobody should be asked to spend money on security software that is more than 2 years out of date! To learn how to protect yourself against Mac malware, see my Mac Malware Guide, and if you decide you want anti-virus software after reading that, try the excellent and free ClamXav. Addendum (4/12/2012): Since I wrote this, it looks like PC Tools has removed any options for purchasing iAntivirus from the site. However, the site still allows downloads of iAntivirus, and still promotes it as protecting “against the most nefarious cyber-threats attempting to gain access to your Mac and personal information,” which it doesn’t. 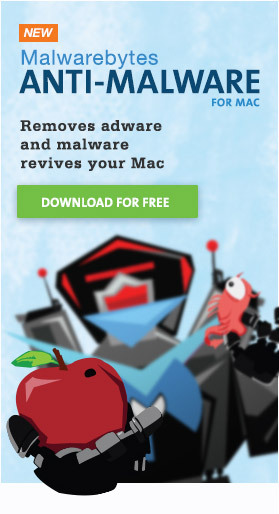 Addendum 2 (5/27/2012): Symantec has, apparently, bought iAntivirus and decided to release a new free anti-virus product in the Mac App Store under the iAntivirus name. Personally, I think that’s an amazingly stupid decision, given the negative connotation that has been associated with the name. But it does mean that much of what I said here is longer applicable. I tested the new iAntivirus, and it did indeed catch most of what is in my malware collection. Strangely, though, it reported finding more malware than I actually have in my collection. Even more strangely, it apparently didn’t catch a few that were inside .zip files, so I’m a bit confused as to what it actually found. Worse, the quarantine list only showed one item, so there was no way to find out what it found other than that one file. I’m actually a bit mystified at what it did with most of my malware collection, which simply disappeared after the scan. I’m not sure whether it was put in some hidden quarantine folder somewhere that I haven’t found yet, or whether it was simply deleted outright. I would still recommend against using this product.